We had a wonderful volunteer who came all the way from Sweden. 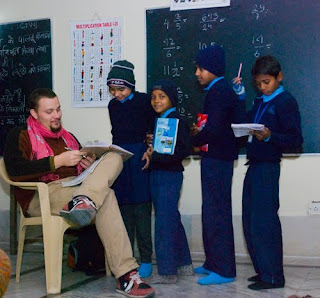 He volunteered at our Tigri School almost a month. He taught English and Mathematic to 3rd and 4th grade students. 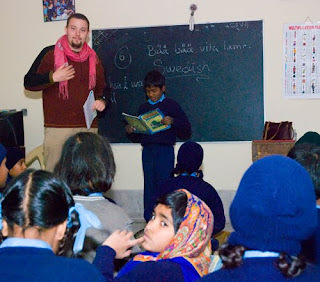 It was really inspiring to see that without speaking Hindi, he was able to teach. Students were able learn their subject and understand the foreign accent as well. When someone cares language gaps are no barrier! Students were very glad to have him around. They also learnt a lot about Vincent’s place, language, favourite things etc.. . So this gave them a way to learn about the world as well. We deeply appreciate Vincent’s willingness to come and serve our students. Students are learning mathemactic and their workbooks has been corrected.